With our main office located just a quick drive south in Pekin, Kelley Construction Contractors, Inc. regularly provides restoration and renovation services in East Peoria and all of Tazewell County. We recognize the need for a quality restoration and renovation contractors in East Peoria and at Kelley Construction Contractors, Inc., we can be exactly that. We serve residential and commercial customers of all scopes and budgets, so give us a call today for your free restoration or remodeling estimate. When it comes to fires, safety is number one. Our fire damage restoration services will have your property back to a livable, structurally sound condition. You will never know a disaster even occurred. Even small hailstones can cause damage to your property’s siding, roof, or windows. Let us provide an inspection and repair hail damage as needed. Central Illinois weather is unpredictable, but you can always count on Kelley Construction Contractors, Inc. when a storm hits. Our storm damage repairs are timely, affordable, and reliable. Whether you are covered by flood insurance or not, our team can provide flood damage repairs for your property. We will help you through the entire process and have your property back to normal as quickly as possible. If you walk into a puddle of water big or small, call Kelley Construction Contractors, Inc. Our water damage restoration services range from moisture removal to insurance restoration. Ignoring mold in your property can only harm you in the long run. It’s best to just let the professionals at Kelley Construction Contractors, Inc. get rid of it for you. 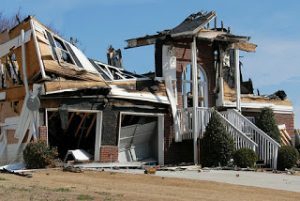 One of the worst headaches of property catastrophes is dealing with insurance companies. When you choose Kelley Construction Contractors, Inc., though, we will walk you through the entire insurance process, making it as simple and stress-free as possible. Contact us today for your free property restoration estimate! From new cabinets to adding an island, we can handle any kitchen remodeling ideas you throw our way. 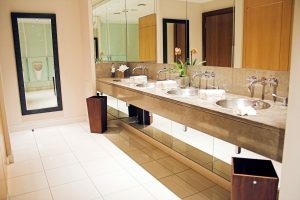 Bathroom remodeling will not only give you a more functional space, but it will also increase the value of your property. If you’re considering updating your bathroom, let us help. Basement remodeling isn’t as simple as putting up a few walls here and there. There are many coding intricacies involved that only an expert will know. Let us help you through the entire process. Enjoy a cool breeze and a nice shade while still being able to see everything outside with a sunroom addition. We can build your relaxing retreat. Not sure where to start? Call us today to speak with one of our renovation experts. Our team will help you design the perfect space and also make it become a reality.